Two men are murdered in settings which speak volumes of involvement of some sacred cynicism. A psycho-killer on the loose? Or is this the beginning of something much more grave and dangerous? This is the tale of how Deputy Director, I.B., Shoumik Haldar and celebrated author Ishan Vajpayee exercise all their tools of conventional and unconventional deduction to solve the puzzles thrown across by the enemy, yet unrevealed. Intertwined intensely with the opulent mythological tales and specimens attributing to the rich cultural heritage of India, the story depicts the resurgence of a dormant historical sect, which attacks the very foundations of one of the most powerful and secreted organizations of all times. Spread across the length and breadth of the entire Indian subcontinent, read the mystery as it unravels with the duo travelling from one corner of the country to another searching for the signs. 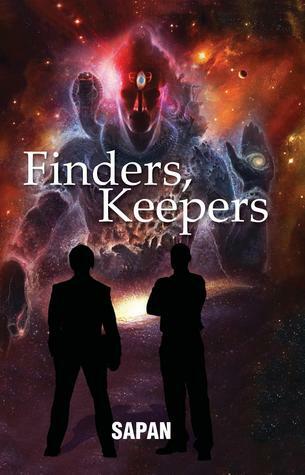 Finders and Keepers is an out and out thriller set in the present times, expertly interwoven with the tales from Indian mythology, beliefs, and a secret society flourishing since hundreds of years. The fictional elements in the story are narrated in the same vein as Dan Brown’s Da Vinci Code or Ashwin Sanghi’s Rozabel Line. The author has done extensive research on Indian scriptures, Vedas and has come up with a mind-blowing tale riddled with puzzles and clues spanning Nepal, India and Sri Lanka. The story starts with a gruesome murder of professor Antriksh Verma amidst chanting of Vedic Mantras in Allahabad. In Calcutta the guards of the ‘Library of the Asiatic Society’ are found unconscious with their eyes and ears punctured and the tongue cut. In Srikakulum, Optical Scientist Venkat Krishna is murdered with the similar modus operandi as Prof. Verma. Deputy Director I.B. Shoumik Haldar is brought in to investigate the murder of these high profile people and is let into the secret of a powerful organization. The evidence, embroiled in mythology, throws him into deep end and he is forced to bring in Ishan Vajpayee a renowned author, an expert on mythology, into the net of investigations. Slowly it becomes a quest for Shoumik and Ishan to not only find the murderer but also to find the wealth of information, in the form of books, left by the members of the secret organization. But the murderer is always one step ahead of them till they immerse themselves deep into the maze of mythology, and understand the conflicts between Shiva and Vishnu, their avatars and leela. I would like to applaud the sheer hard work and thoroughness with which the author has drawn the parallel between Shaivas and Vaishyas, and of assessing the greatness of two Gods, Vishnu and Shiva. The clues, hints and the way he takes us from knowing nothing to finally tracking the killers and the mastermind behind, is fantastic. Coming to the characters; Markandey and Pradhan are perfect for the story, though I was a little disappointed with Shoumik and Ishan’s characterization. They seem to come out from the same mold. There was no distinction in their portrayal. At times it was difficult to follow the long descriptive conversations due to lack of dialogue tags. Another problem which I encountered was lack of scene breaks, which broke the immersion in the book. I had to go back and forth for getting the hang of the place and characters between the two scenes. However, what really made reading the story difficult was below par developmental edits and language editing. The story could have been crisper if the mythological tales were shortened, some of them were repeated, and there are several language goof-ups throughout the book. This is not something the author can be held responsible for, that too in a debut book, but they are impossible to ignore. nd potential are obvious. Since I love Indian mythology I will definitely look forward to other books from Sapan Saxena. Verdict: Recommended for readers who love mythology and whodunits, great combination. Disclaimer: I received a free paperback verions of the book from the author for my honest review. Brought up in the city of Nawabs, Lucknow, Sapan did B. Tech in Information & Technology from Motilal Nehru National Institute of Technology, Allahabad. He started taking interest in writing on various spiritual and mythological subjects during his college days and his work found place in leading newspapers on many occasions. His profession is engineering but writing is his passion. He connects and finds links of modernization with mythology having keen interest in the same. 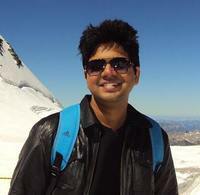 Sapan married in the year 2011 and is now the proud father of a toddler. A responsible father, a loving husband, a supportive brother and a caring son, Sapan generates time to write.